Correct response: What is Bermuda? Bermuda, located about 650 miles east of Cape Hatteras, North Carolina, was where the crew and colonists of the ship Sea Venture got caught in a hurricane and ended up shipwrecked on the island. It was the stories of this hurricane and shipwreck which were said to have served as the inspiration for the Shakespeare play The Tempest. Bermuda is currently a British Overseas Territory. The captain of the ship, George Somers, deliberately drove the ship onto the reefs of the island, so as to allow for the group to safely disembark. The survivors were stranded on the island for nine months before finally setting sail for, and reaching, Jamestown. The boat was stripped of all useful parts and materials. An average of 4.0116 5+-time champions (standard deviation 1.6211). An average of 6.9936 4+-time champions (standard deviation 1.9734). An early cutoff took place 6.680% of the time (or a 5-game winner will be left out). 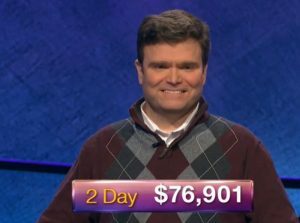 Eric R. Backes qualified 60.010% of the time. Anneke Garcia qualified 77.436% of the time. Dave Leffler qualified 55.359% of the time. 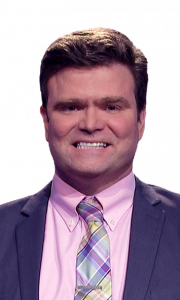 Jonathan Dinerstein qualified 29.325% of the time. Alex Schmidt qualified 9.289% of the time. 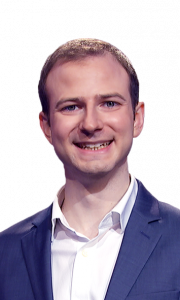 John Presloid qualified 2.087% of the time. Jackie Fuchs qualified 0.219% of the time. 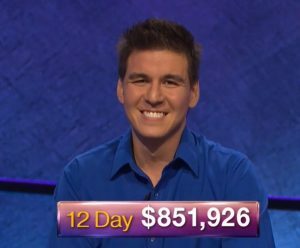 Eric has the 6th-highest total winnings ever through two games (not adjusting pre-2001 scores for doubled dollar values). #1 through #5: Roger Craig ($114,000), Mark Runsvold ($103,000), Chris Fleitas ($82,901), Larissa Kelly ($80,600), Joon Pahk ($79,600). 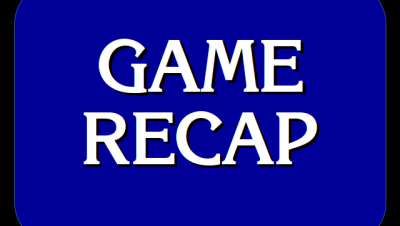 Eric is the second player in 2019 to have back-to-back games of $10,000 or more after the Jeopardy! round; John Presloid is the other. The most recent player with three in a row: Mehrun Etebari in 2007. 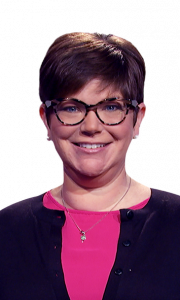 3 Comments on "Today’s Final Jeopardy – February 12, 2019"
Where in the world did Jeopardy get the answer for The Tempest island setting as the Bermuda’s? It was set in the Mediterranean, some believing it was Corfu. That wasn’t what the clue said. It said that the inspiration for The Tempest was the story of the Bermuda shipwreck. The OPENING scene might have been inspired by an eyewitness report of the Sea Venture wreckage.